The Coastal Communities Concert Band (CCCBand) is an award-winning symphonic band of more than 80 musicians who live throughout San Diego County. CCCBand, a class in the San Dieguito Adult School, is supported and operated by the Coastal Communities Concert Band Foundation, a nonprofit 501c3 corporation. Our mission is to provide members with the opportunity for musical expression at the highest levels of performance in a friendly and welcoming environment. Our members and our foundation promote music education in our public schools, provide financial support to our charitable organization partners, and work to preserve and advance the rich heritage of community bands and band music in America. We are committed to being one of the premier community bands in the nation. 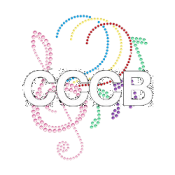 Recipient of the 1998 Sudler Silver Scroll Award from The John Philip Sousa Foundation and a Pacific Southwest Region Emmy Award in 2008, the CCCBand has performed internationally in Switzerland, Austria, Italy, and France as well as at American Bandmasters Association Conventions in Hawaii and San Diego. We’ve welcomed renowned guest conductors, including the late Frederick Fennell, Col. John Bourgeois, Sammy Nestico, and the late Warren Barker, and featured soloists such as Ron Romm, trumpet; Norman Brentley, flute; and Harry Watters, trombone. We have shared concerts with community bands from the French Riviera to Omiya City, Japan. Our music commissions, including “In the Miller Mood” and “Big Band Signatures,” have become band favorites across the country.